Industry - VIGO System S.A. The unique functionality of VIGO products is highly appreciated mainly on the volatile substance analyzers market. The detectors are used for monitoring process gases in chemical, refining, power generation, food and aerosol production industries. 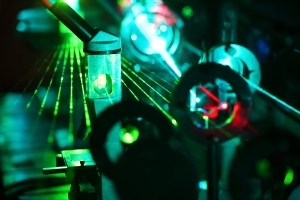 Photodiodes and photoresistors operate as a part of ultra-sensitive optoelectronic analytical devices in which the source of radiation are medium- and long-wave quantum cascade lasers (QCLs). Devices incorporating VIGO detectors are used as electronic “noses” – they can measure very small concentrations (ppb and ppt) of chemical substances in a mixture. Apart from process gases analysis, such systems are excellent for analyzing undesired vapors, such as pollutants and hazardous or flammable compounds, and for quality control – finding escapes and leakages. An invaluable advantage of optical detection modules is their insensitivity to electromagnetic interference. Such devices can be left in hazardous areas, and measurements can be taken from a safe place. 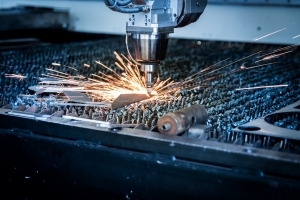 Powerful laser sources, mainly high-power CO2 and solid-state lasers, have for many years been used on quick and precise hard material treatment, large format cutting, engraving, cleaning and welding markets. Such sources operate within the mid infrared range, as high absorptivity of that type of radiation enables contact-free modification of materials by means of heating. A natural consequence of that situation is a demand for sensors operating within the same range of spectrum as lasers do, and enabling control of beam power and position. VIGO System offers a wide range of durable IR detectors optimized for the wavelengths of 2 to 16 µm. Fabrficated structures are characterized by small heat capacity and insignificant impact of thermal signal on optical signal. Depending on the customer’s requirements, various active area sizes are available. The VIGO research team prepares also multi-component linear or quadrant detectors, ideal for radiation source positioning. 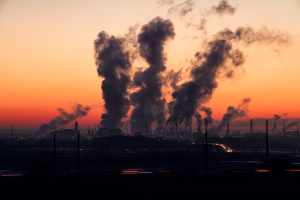 Climate change monitoring, manufacturing processes’ optimization, and gas emissions control are the key challenges connected with sustainable development and with the process of calming public feelings caused by industrialization. Quick and inexpensive mid infrared spectroscopy is a powerful analytical tool that may help with solving problems related to both economy and natural environment. Therefore, in 2016 VIGO joined an interdisciplinary European project named MIRPHAB, the purpose of which is to develop laser spectroscopy sensors operating within the wavelength range of 3 – 12 µm. The co-operation of all the 18 members will result in a product combining the most recent technical achievements of all of the partners. As a part of the co-operation, the Polish partner supplies its own, super-accurate infrared detectors. The final device will be available for all the interested contractors. VIGO’s participation in the initiative confirms the confidence placed in the company by all the leading manufacturers from the photonics and optoelectronics industries in the world.